This entry was posted in Sauces and tagged sauce, tomato. Bookmark the permalink. Don’t worry. I browned the meat with the tomatoes today. I knew I would be eating the sauce in batches, so I rather cook up fresh meat for the sauce & pasta. 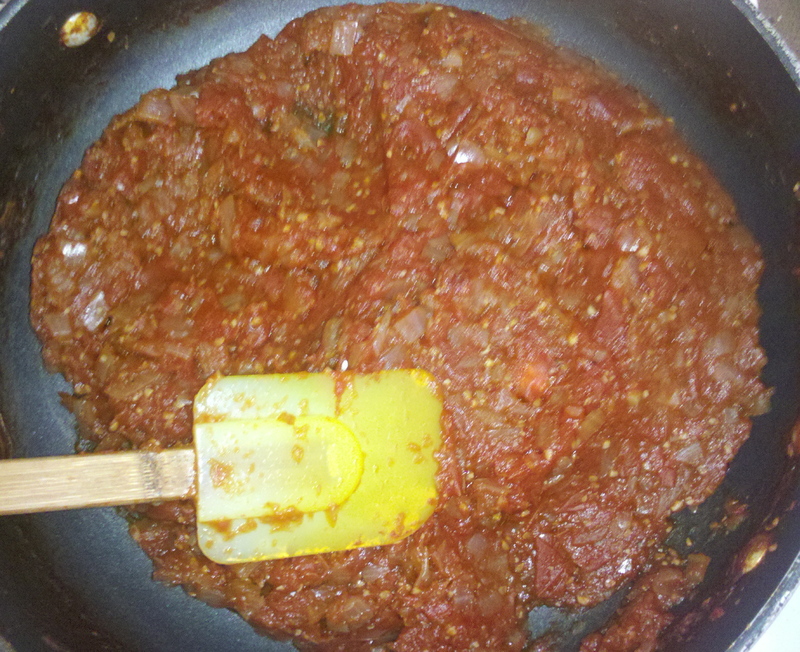 The sauce also thickens after storing it in the fridge, so I used some water to thin it out just a teensy bit. The sauce looks great!! I actually need a good pound cake recipe for next week, but I don’t think that she wants it to have anything in it.. just plain pound cake. Any ideas? I actually just made a pound cake today, but I was so excited to eat it when it came out of the oven that I forgot to take pictures. However, I will post the recipe right now. Maybe I will try to take a picture of the crumbs when I come back to my apartment. P.S. I love your blog name!